The first weekend in February in Ohio is about halfway through the winter. This is the time of year have to I look for ways to find more motivation to stay with my intentions of being fit, strong and healthy throughout the winter. I guess I blame the weather. Winter in Northeast Ohio usually means grey, overcast skies that blend into white and grey half melted snow. Most of the winter, my instincts are to get cozy on the couch with a good book/movie, a warm blanket and eat something with high calories, lots of rich food. When I fight that “instinct” and get out in the fresh air, get some exercise and engage some endorphins, I always feel tons better. If there are warm air and sunny, blue skies, I just feel like getting up and moving. Motivation is not a problem, but I know I can’t wait for blue skies to take care of myself! For most of the winter, I look for ways to psych myself out and get myself motivated. 1) Exercise Buddy – If I try to go it alone, it’s easy to skip a workout. Finding a partner to work out with gives me accountability. Even if my friend isn’t working out with me, we send emails and texts back and forth for work out motivation. Having a friend in person, either at the gym or going for a walk really helps. Setting an appointment with a personal trainer definitely helps. My gym has a buddy program that started a couple of weeks ago and I am getting to know someone new at my gym while making a point to show up. The last few weeks have really upped my exercise totals for the week and I attribute this to having a buddy. 2) Food Challenge – I’m finding ways to eat more food that is nutrient dense (not calorie dense.) Luckily, I’m in the early stages of a weekly vegetable challenges. Maybe you are too? If not, it’s not to late to join in the fun! The Becoming Elli community veggie challenge is to find one new vegetable a week — or at least prepare a vegetable in a new way — and it challenges me to look more closely at the produce. I had several eggplants in my hands this past week, but didn’t buy one. 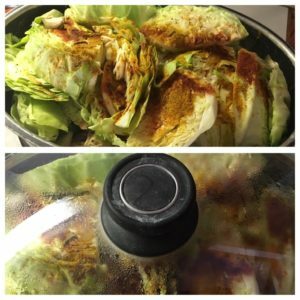 Here is my “new” way of cooking cabbage with turmeric and thyme. Turmeric, Thyme, Salt and Pepper. Cabbage cut into slices. Underneath: Mushrooms slices. baby Carrots, coarse chopped Celery, sliced Green Peppers. Cup of water. Pork roast – outside seared before going into the crockpot. I forgot to take a photo of the final product. Basically it was a mushy stew kind of meal and not especially photogenic, if you know what I mean. 3) Helping others – My personality type is more motivated to help someone else, than to help myself by exercising. I don’t know why. Getting involved in the MS bike ride each summer has really helped to get and keep me in shape. 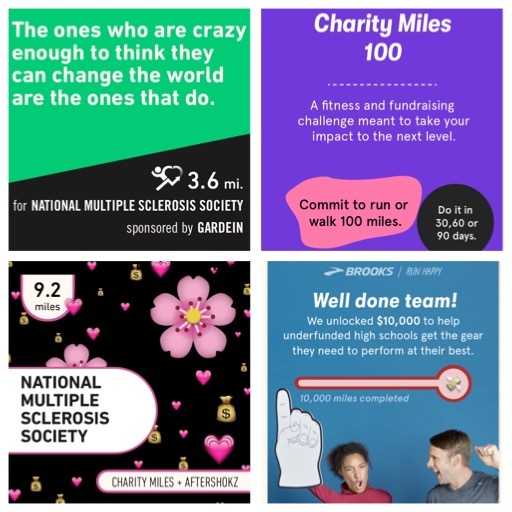 Now I have found another way to contribute called “Charity Miles” which is an app you can download. It tracks your mileage for walking, running or biking (you need your phone with you when you do the activity.) Various corporate donors have pledged to contribute money to the charity of my choice (in this case the MS Society) based on the number of miles I complete. I’m not exactly sure how much they donate for each mile because Charity Miles divides the money between all the charities at the end of every term. I think the corporations are counting on people sharing the images via social media. But my motivation is to help others and I find that doing this helps me to do more miles than I would have otherwise. So its a win/win/win. How do you motivate yourself? 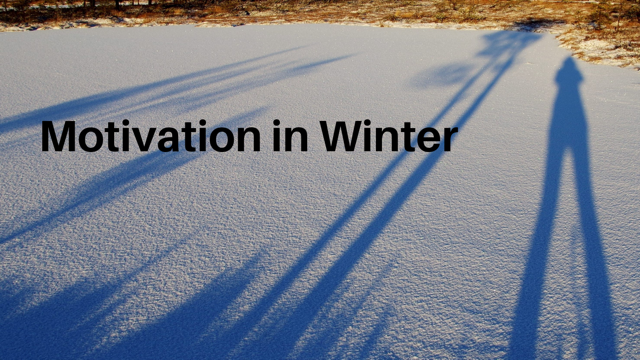 Do you have ways that you struggle with winter workouts? What tricks to you use when you don’t feel like eating right?